Regular presenter at national AAR, NARTC and railroad claims conferences. Sean has extensive trial and litigation experience through his 20 years of civil defense practice. He regularly represents national transportation companies in cases involving personal injury, Federal Employers’ Liability Act (FELA), grade crossing accidents, property damage, cumulative trauma exposure and other accident investigation and defense. His litigation experience includes a record of success in jury verdicts and pre-trial motion practice. He regularly serves on initial response teams for the investigation of grade crossing accidents, occupational injuries and catastrophic incidents involving the National Transportation Safety Board and other federal agencies. 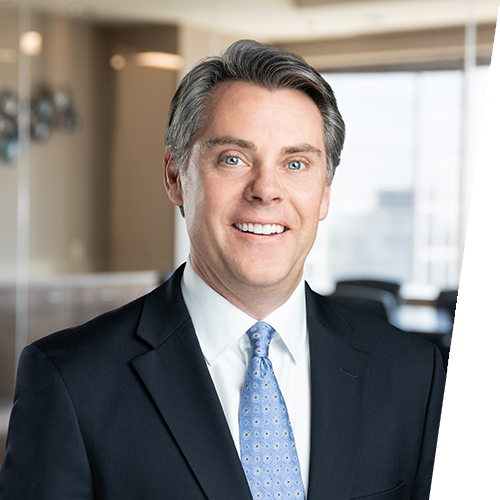 Sean has also served as national discovery coordination counsel for a Class I railroad and is often asked to assist counsel in other jurisdictions where the client is concerned about its exposure. Obtained a unanimous defense verdict in an FELA cumulative trauma case brought by a former mechanical department employee who claimed permanent, debilitating injuries from driving a vehicle over rough roads in a railyard. Obtained summary judgment in the defense of litigation arising out of nationally-publicized derailment of a passenger train resulting in over 60 personal injury claims. Obtained summary judgment on the claim of a railroad locomotive shop employee claiming cumulative trauma injuries to multiple parts of his body. The plaintiff’s liability case hinged on the testimony of a well-known plaintiff’s expert. Successfully moved to strike the expert and obtained summary judgment finding that plaintiff lacked evidence of negligence and claims were time barred. Obtained voluntary dismissal of action by intermodal ramp operations employee related to collision of switch engine with standing railroad cars. Litigated multiple foreign fatality grade crossing accidents resulting in involuntary dismissals and favorable resolution of cases. Defended Class I railroad in action arising out of rollover of company vehicle. Plaintiff alleged defective condition with company vehicle caused vehicle hy-rail equipment to drop causing rollover resulting in severe injuries. Successfully defended case demonstrating that vehicle was not defective and incident was caused by Plaintiff’s impaired driving while under the influence of excessive and abusive dosage of medication. Coordinated numerous investigations of grade crossing accidents, occupational injuries and catastrophic incidents involving the National Transportation Safety Board and other federal agencies. Investigations included assembling teams of investigators with varying expertise depending on the particular needs of each incident. Defended ammunition manufacturer in case arising from explosion in construction area of manufacturing facility resulting in six injuries including severe burn injuries to a contractor employee. Defended insurers of a minor league baseball team in coverage and equitable garnishment lawsuit arising out of wrongful death action from death of game patron after falling while climbing a portable rock wall. Defended former executive of video hardware and technology solutions company in action alleging breach of design and manufacturing contracts for company’s products. Secured favorable resolution in favor of executive and voluntary dismissal of claim. Oversaw extensive investigations related to financial institution bond claims including witness interviews, financial record collection and review, bond coverage analysis and claim negotiation.